Previous Article Are You a Christian? I have mixed feelings about zoos as well. There’s a free zoo in downtown Chicago that I took my kids too earlier this spring. There is a gorilla there that is quit agressive: charges at and bangs on the glass. I don’t know why they won’t send him to another environment. Obviously, this one is not good for him. And maybe it’s because I’m an intuitive/empath, but when I look into the eyes of some of these animals, my heart breaks. I get so sad that they are forced to live a life of captivity. I know what you mean, Alisha. There was also an owl there (also named spectacled, I think) and it too looked very depressed and disheveled. I just stared into its eyes for a few minutes and felt so much sadness for it. I’m with you guys, too. I had a feeling of overwhelming sadness as I read your words about this poor bear. It makes my heart hurt. And I would have taken unbrage at the comment regarding animals being here for our enjoyment just like you. WTH? My cousin (devout Catholic) said the same thing – basically that animals are here for the pleasure of humans and they have no soul. I stared at her with an amazing amount of “You must be kidding” on my face. How can anyone truly, in their heart, believe that? Yes Lisa, people take this “dominion” thing too far. Thanks for stopping by and commenting! When I was a child my mother had a friend who owned an animal sanctuary so often I was brought along to visit with the animals and be in nature. It was one of my favourite places to be. I also have a friend who is passionate about wild arc (http://www.wildarc.com/) and I donate to them in her name every year for her birthday – it has a dual purpose of making me feel good while giving her something she would enjoy. Thank you for speaking up when it’s needed. Did I tell you I’m trying to write a cohesive worldview? It took me years to come up with an explanation of why we should treat animals with respect…yet evolution obviously designed us to kill and eat meat. There has to be that balance. The left backlashes against the “animals were just put here for us to abuse” instead of trying to find balance. And the right backlashes against the “animals are just people with fur” instead of trying to find balance. 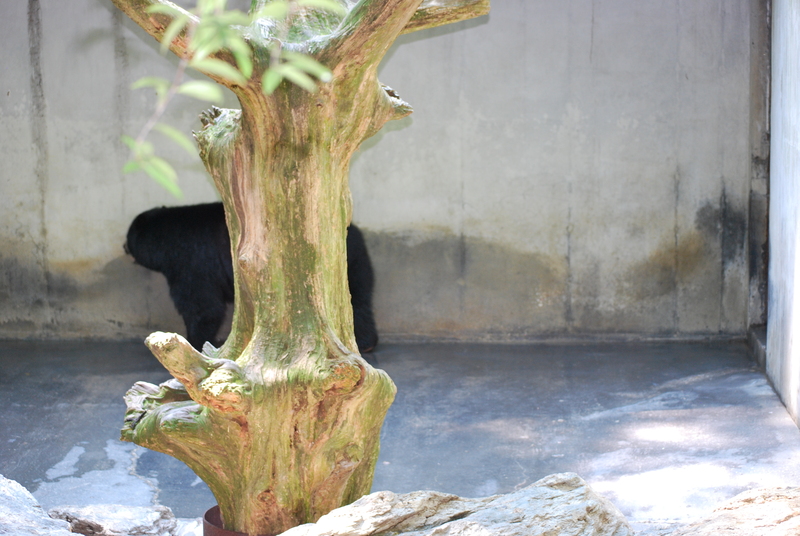 Hmmm … I’ve been to a lot of zoos in a lot of different places and I have never seen a bear kept in such conditions. 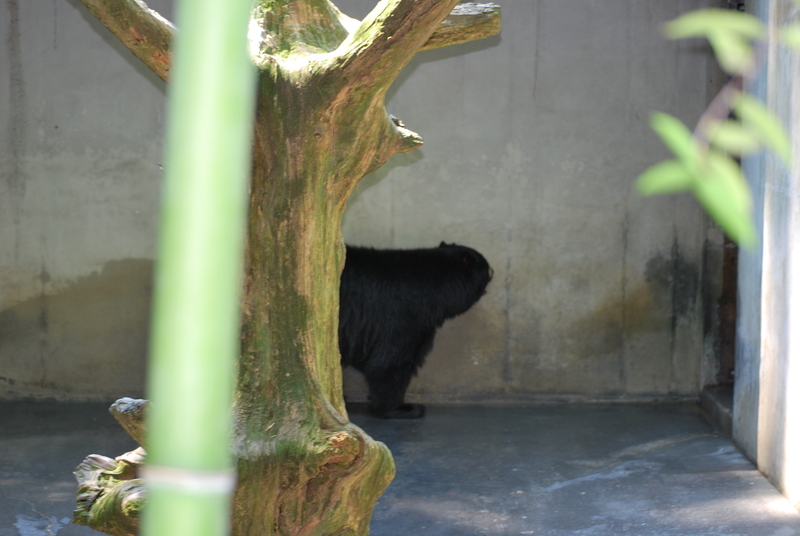 The Buffalo Zoo has a spectacled bear (along with several others) and they have HUGE areas to roam with lots of water and natural habitat and appear to be as happy as an animal in a zoo can be. The Baltimore Zoo, Jax Zoo and National Zoo are the same. While this particular bear is obviously in a bad zoo, the statement that “nearly every zoo” does this sounds like propoganda to me. Your comment sent me back to my message exchange with my friend and I updated the post accordingly. This is a perfect example of what is wrong with people getting their information from personal blogs. In this case I passed around some bad information about the conditions of zoos. It is not the conditions, just the way the animals react to not being in their true homes. If you ever get a chance, you should visit the Buffalo Zoo. Unfortunately, due to budget issues, the county pulled funding and they had to majorly downsize, but that allowed them to continue the great care for the exhibits they kept. I’ve gone there a lot over the years and the animals seem genuinely happy. 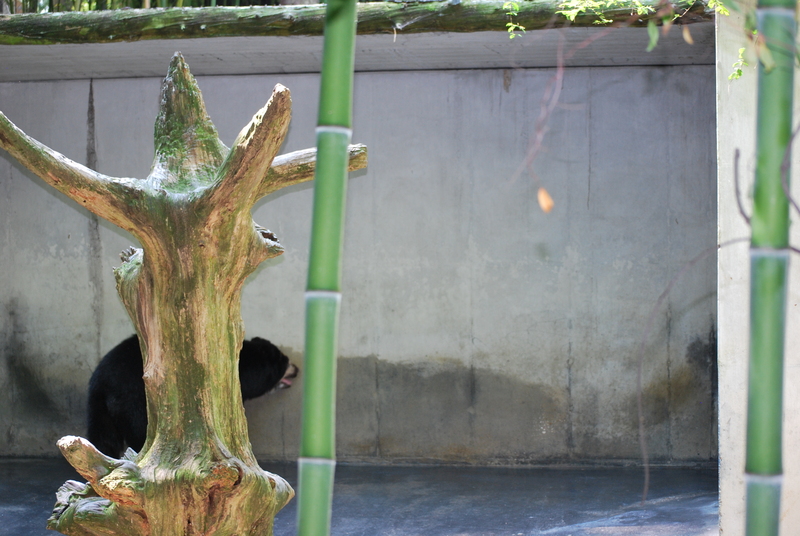 The bears actually play and the gorillas interact with the people in a very positive way, as do the elephants. It’s a really nice place. I guess I see it this way: If the animals were in the wild, they’d be fighting for food and water and always on alert for predators and possibly have incredibly short lives due to disease or being eaten by something. In a GOOD zoo, they get fed and don’t have to worry about being eaten and can be comfortable. Kind of like our cats and dogs. But I stress the word GOOD zoo. And I see zoos as a place for education rather than entertainment. Speaking of bonobos, there is a new (I think) novel out called “Lucy” and it’s about a girl that is half-human half-bonobo. I listened to an interview with the author and it sounded VERY interesting. I meant to tell you about it earlier! But they are just so cool. I actually saw one tickling one of the babies once. And they watch back. They just sit there and stare at the people watching them sometimes. I’m not sure if you realize it or not, but the people that work at zoos actually have degrees, sometimes multiple degrees. Regardless of how you may think an animal feels, you should leave animal care to the people that actually know what they are doing. I was utterly appalled at the things that were said here. Thank you for your comment. I wrote this two years ago so had to look back to figure out what was so appalling about it. I do not have any college degrees in animal behavior or care but I do have an opinion which is what I expressed here. Thank you for reading.